In 2018, World Sight Day fell on 11 October 2018 with the theme “EyeCare Everywhere”. Continuing our upward trend, this year we record WSD celebrations in 149 countries (compared to the 115 in 2017 and 92 countries in 2016). 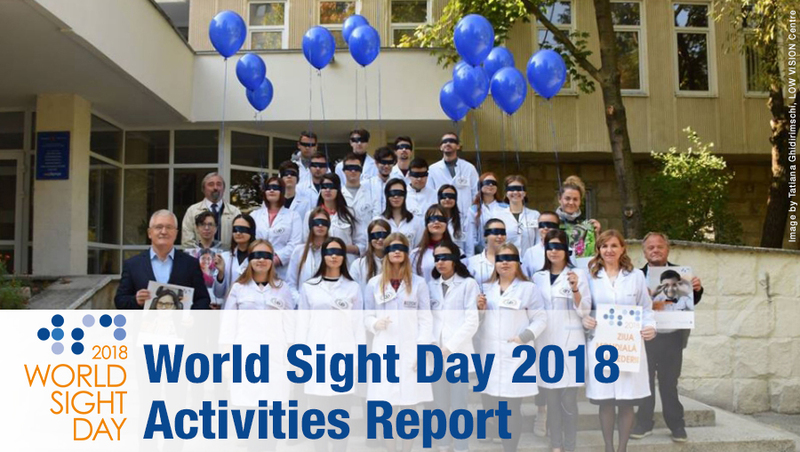 You can download the World Sight Day 2018 Activities Report to see the stories in detail. Please click on the Page number in the Table of Contents to see specific country events. We have collected 852 events from these 149 countries! These include awareness events, screening/operations, seminars, launches, donation drives, rallies/walks/marathons, policy updates and online events. In addition to this IAPB Italy, once again celebrated World Sight Day in 100 Italian cities and the Lions of France held 225 events. We recorded the maximum number of events in India, country-wise and by region in Europe. World Sight Day as ever found a lot of national support in Saudi Arabia; as well as several African countries like Ghana and Tanzania that held national-level celebrations. 2018 was also the fourth year of our photo competition, which we organise with support from Bayer. The #EyeCareEverywhere photo competition received close to 1439 submissions and all the images are up on our Flickr albums to use (please do credit the photographer). Send your World Sight Day 2018 event details and photographs to communications@iapb.org to have it included in the World Sight Day 2018 Activities Report.